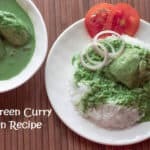 This is an Indian Chicken curry recipe cooked with very few ingredients, yet the curry tastes delicious. 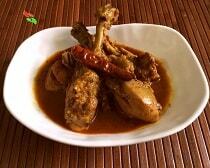 Many regions in India have their own style and tradition of making chicken curry. 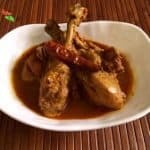 This recipe belongs to my own small village in WEST BENGAL. Actually, This is my Mom’s family recipe. She got this recipe from her mother. So she is attached to this recipe a much. And She always makes this recipe in most of every Sunday. I learned everything about cooking from My mom. 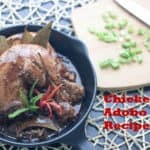 As this is my First Recipe on the blog. 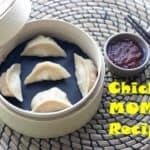 I decided to give a tribute to my mom first by sharing her favorite recipe. There is nothing to describe much about this recipe. Because this recipe has no secret. But one thing is inside the recipe and special to me is my Mom’s love. which she always try to spread among us with her fabulous way of cooking. I wish, I should spread love through cooking just like my mom. And hope you all will like and love my Food blog. This recipe fairly made in less than an hour. This recipe reminds me of my childhood. When I was a kid my mom used to cook this recipe for me and my siblings. Now I am cooking the same recipe in the same way for my kid. This is how the tradition transfers to the next generation. This Recipe is a village dish. Therefore the ingredients used in this recipe are so simple. Because simple people from the Indian villages do not use an expensive and complicated ingredient for their cooking. The basic spices use in the Indian village cookings are just whole or crush garam masala spices like……Green cardamons, Casia backs(Bark of a tree similar to Cinnamon stick), Cloves and sometimes Black big cardamoms, Nutmeg and Mace(use in festival food cooking only). And obviously, they use common Indian spices like Cumin and coriander seeds in their dishes. 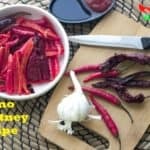 In this recipe, I only used a garam masala powder to flavor it. The Recipe of the Garam Masala powder is also Mentioned in the Recipe Box. PLEASE SEE IN THE DOWN BELOW to know the recipe for Garam masala. That’s It…when you make this my mom’s recipe at your kitchen LATE ME KNOW IN THE COMMENT BOX. I WOULD LOVE TO SEE YOUR ANY COMMENTS. OR You have any Recipe Request. Or any suggestion Please ALSO let me know in the comment box. Heat the pan first then put oil on it, when it is hot enough, add chicken pieces to sear it. Then add bay leaf, dry red chilli whole, chopped onion, tomatoes chopped and salt and fry them all until they turn golden brown in colour. Then add garlic paste, crushed green chillies, ginger root paste and sauté it for 2 minutes till the raw flavours less or gone. Add turmeric, red chilli powder and garam masala and the chicken pieces. Mixed them well and Saute the chicken pieces well with the spices for another 5 minutes. Then cover the pan with a lid and cook for another 5 minutes. Remove the lid and add 1 cup water then again cover it and cook the chicken for at least 30 minutes or until the chicken is cooked. While the chicken is cooked properly, the dish is ready to serve.